Hydrographic surveys are used to define shoreline and underwater features. 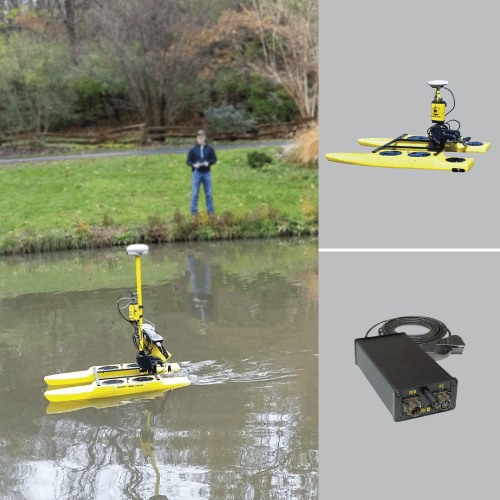 Seiler provides the Seafloor Hydrone™ solution which is a hand-portable, remote control survey boat platform which helps surveyors better approach bathymetric survey applications. Application use is ideal for work environments such as – small rivers, difficult launch sites, overhanging canopy, weed, debris, bridge and structures. Contact us for a demonstration. If you have a project and want to try before buy check out our rental plans.